It’s the time of year when the paint companies bring out their colour of the year. The 2018 colours are quite different than 2017, and each company has a different take on what the colour is and how they arrive in deciding it. The larger paint companies have design teams with the amazing job of travelling the globe looking at trends. It’s all just marketing, but it can make choosing a colour palette for your home much easier. 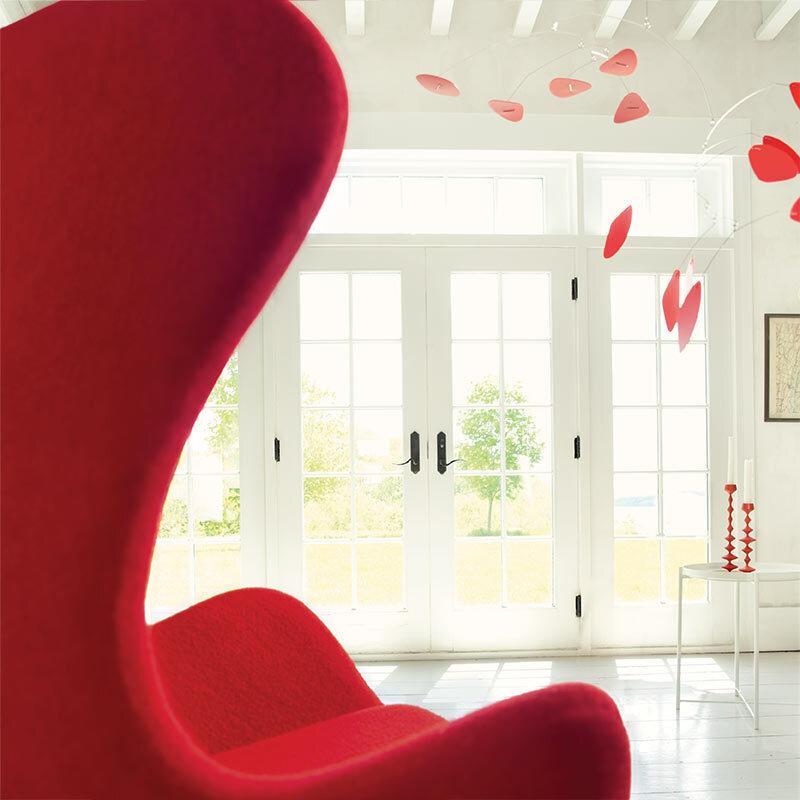 Benjamin Moore’s 2018 pick is called Caliente AF-290, and it is a red that is strong, radiant and full of energy. This isn’t a fire engine or stop sign red, but a Mexican pepper red, warm yet bold. It’s not eye stopping or alerting, but alluring and inviting. 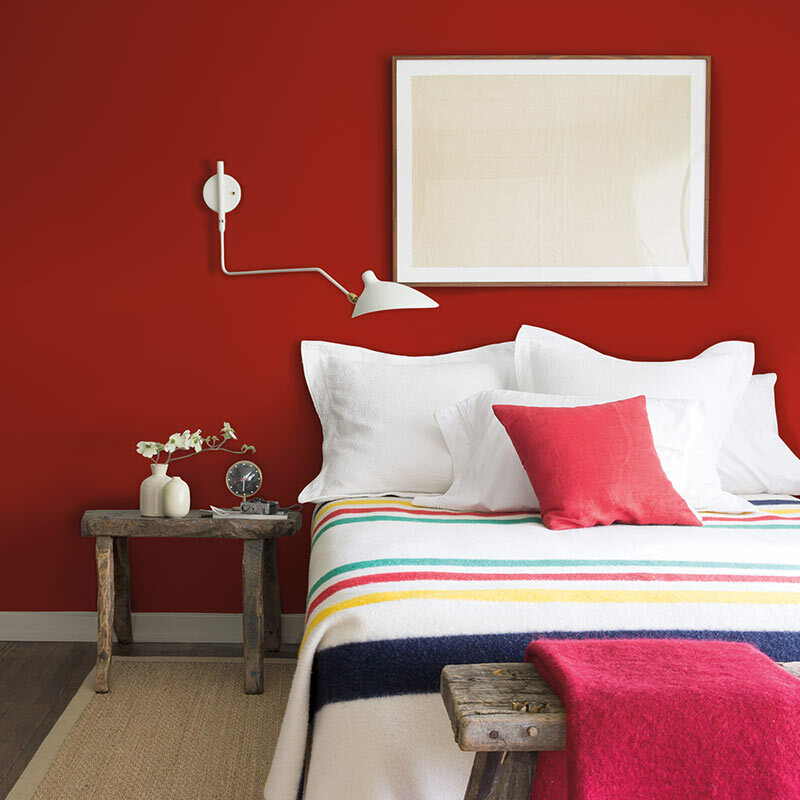 This red can easily be used in all seasons, it tones in with other colours and mixes and matches very easily. This is a hue that can blend beautifully with our current grey trend, ochre, pistachio green, ivory, or taupe. It’s a beautiful front door on a grey house, a cozy throw on a taupe sofa, an area rug on a wood floor, or perhaps a feature wall in a den. 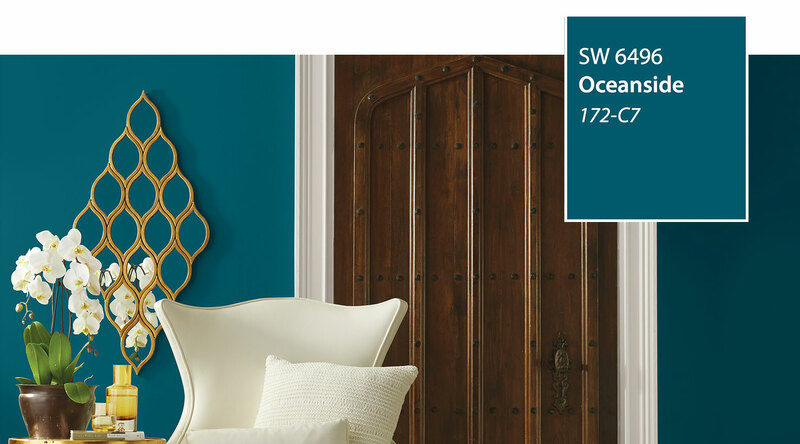 Sherwin Williams chose a colour called SW-6496 Oceanside. It’s a dark rich teal which is on the bluer side. It’s both traditional and modern, and quite universal in the style it’s applied. It could be used in midcentury modern, Victorian, Mediterranean, contemporary, or even arts and craft architecture. This colour is deep and luxurious, a simple velvet cushion would be stunning on a grey sofa or a cashmere throw on the end of a bed with white linens. 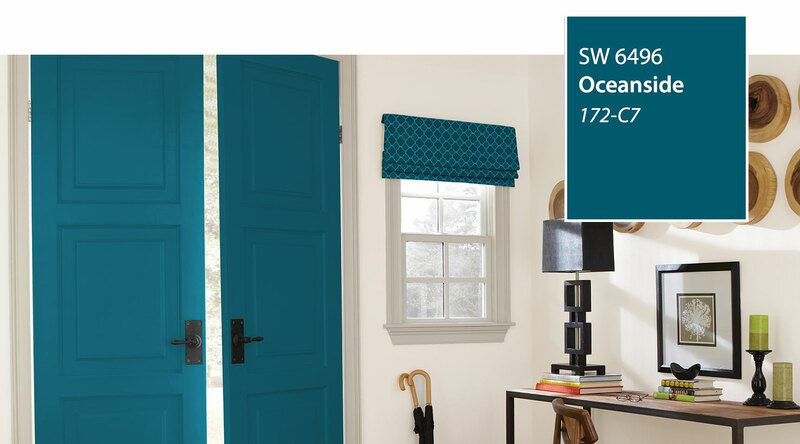 This colour is also perfect for all seasons, and painting your front door this colour would be very welcoming. Previous Previous post: Chocolate cocoa on your floors! Next Next post: Chateau Victoria Hotel & Suites Meeting Rooms DONE!